An organic way to increase your brand recognition is by thoughtfully expanding your retail offerings to include more items with your logo. Besides the obvious financial benefits of carrying branded merchandise, there are also far reaching marketing benefits to putting your brand on a few, well chosen items in your retail portfolio. Are you about to give it an overhaul? Does it need to be revisited? If so pause on a large order you'll want to hide when you do decide to update your look. Do you have a quality high res image? Get one! It will make the ordering process much easier if you have it at the ready. Also – never underestimate the value of a decent graphic designer. They can set you up for ordering by having correctly formatted images of you logo at the ready. Are you married to your color scheme? If you always use the same colors consider inverting their relationship, or bringing in a new scheme to the same design. It will pop when your clients see them, and it will breathe fresh life into an old staple. By the way, if you’re a patientMoon client, this is all stuff we can help with. Unsure where to start? Here are some basic, universal items that your clients will most likely want to see. For some items going to a huge operation like Discount Mugs will save you time and money. The downside is the items are often not particularly unique and perhaps not the very best quality. For some businesses having an item with a higher price point can be a more appropriate investment. Ordering a smaller print run may cost more, but will give you the chance to test out the item's shelf life, and client response. There are benefits to shopping local and leaning Indie. Or splitting the difference and ordering the item from a warehouse and having it printed locally. Call your local printer, let them give you the same service you offer your clients. They will be eager for your business and you may land a good deal with a reliable vendor. This can save valuable time in the future. 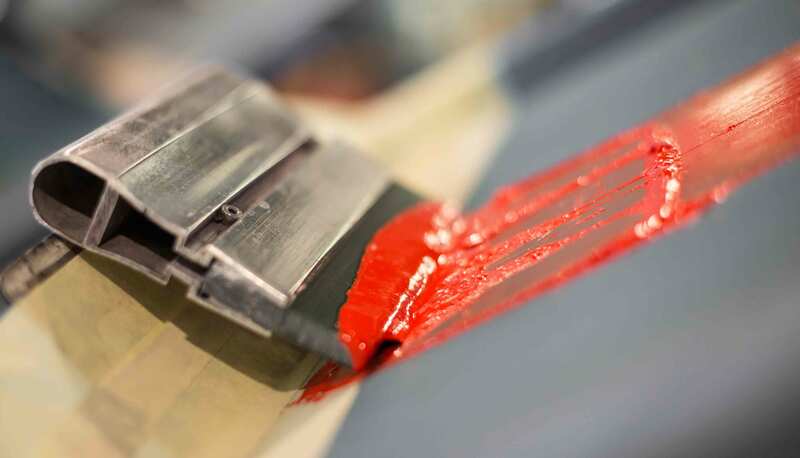 For ease of use and incredible print quality, check out Emulsion Printhouse . They have an intuitive DIY webpage, and just 24 units gets you free shipping. 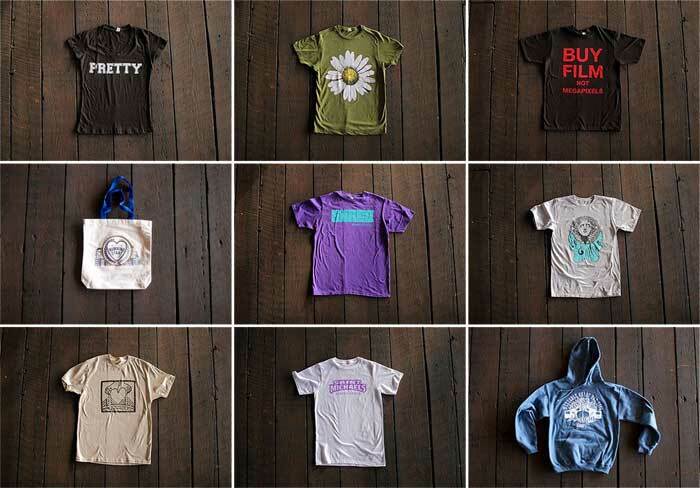 They offer screen printing, DTG – direct to garment printing (this is the most modern technique utilizing full color water-based inks to dye the fabric directly) and embroidery. If you prefer you can supply your own material/garments, and if you aren't feeling particularly creative your can get help with you design as well. They have an impressive portfolio of funky indie companies and larger corporate clients. These companies are great if you want it fast and cheap. For printed bottles/mugs: You can do it all on their website fairly easily, they do have customer service if you prefer to call. It's a good idea to have a solid sense of what you want when you begin as there isn't much hand holding with these companies. 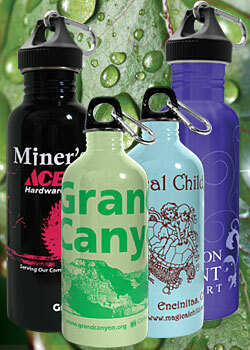 A slightly kinder approach than the bigger guys for water bottles and clothing. There is a bit more curation to their selection, and you can feel better that what you're offering is either environmentally friendly or sweatshop free or in the base case, both! Be patient as often the interface/ordering process for these sites is little more cumbersome. Green Bottle will do a particularly lovely wrap around image if you have a more expansive logo, or want to work with a landscape. You have to fill out an application to work with them, so this may be a slightly slower process. Here's their order form , or call them directly at 866-974-6333. Another option for bottles is Bulletin Bottle . They offer the convenience of easy online design and ordering with a larger selection of lower priced options, similar to discount mugs. This is a good option if you want to put your logo on Yogitoes or t-shirts. You would order the gear first, and then bring it to the printer. For other printed goods like the ever-popular, always useful canvas tote, Enviro-Tote is an exceptional company. They are all made in the USA, and they are located in New Hampshire. They have great customer service and will help you get the design right. They are also generous with reasonably priced and occasionally complimentary product samples if you want to give some different designs a test run. 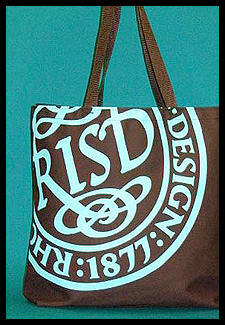 For thinner re-usable shopping bags, there is also great selection at Branders . Another consideration is to try a very small run of several designs and items. Café Press usually offers great discounts codes with a little investigation. They do an especially quality job with their magnets, and stickers. They also have the benefit of a user-friendly interface. In some cases, it may be worth the time to go direct to the company so you can carry a superior product with name recognition. For your printed goods, such as stickers, fliers, notebooks and paper products check out Fleming Printing , they are family owned and operated and will take good care of you. There is also 48hourprint.com if you need a quick turn around, or overnightprints.com , which also offers car door magnets, calendars and bookmarks in a hurry. We love Moo for their stickers (they also make impeccable business cards – check them out when you need some). They are affordable and incredibly diverse in their selection. Remember to start somewhere manageable – taking into consideration your retail & storage space. 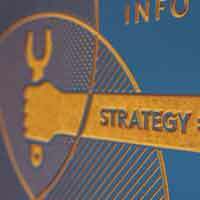 Choose a product, or printing process you can get behind, or that is congruent with your company's vision. That will translate into easy hand selling. Having quality, unique branded merchandise elevates your retail, lends authority to your brand and is simply a kitschy and effective way to connect you to your clients and their friends long after they have left your studio. Have you branded something ingeniously? Want to share any recommendations for other suppliers/printers to work with? Let us know in the comments! I'm the patientMoon Content Crafter – sweeping in to save the day with writing and editing your site content to help get your message crystal clear for your students and clients. 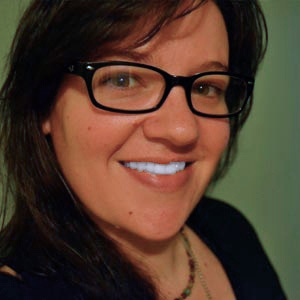 I also write widely on health and wellness industry issues, teach yoga in Boston, and received my MFA in writing and literature from Bennington.